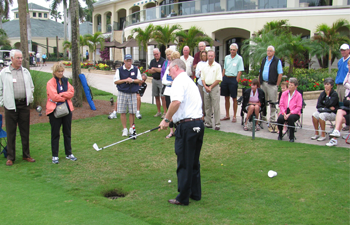 Rules of Golf Workshops are open to the public and are designed to benefit golfers of all abilities, including tournament volunteers. The one-day Rules Workshop covers nearly all 24 Rules (effective 2019) and focuses on the most common ones encountered by players. The morning session will start inside at 9:00 AM. The outdoor sessions are held on both sides of the lunch hour. Bring appropriate clothing for the expected weather so that you can be outside for 30-45 minutes at a time. Comfortable shoes are suggested, and if you are uncomfortable standing for 45 minutes, a folding spectator's chair is good to bring along. The FSGA does not accept registrations via the telephone or by fax. You may register online by clicking on the "View Schedule" button and select the site you wish to attend. Requests for refunds received seven days or more prior to the seminar will be honored less 50%. Requests received within six days or less of the seminar will not be honored. 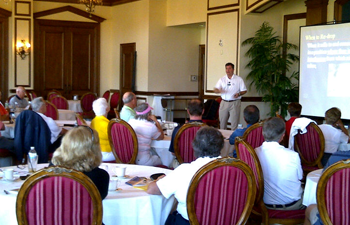 The FSGA is required to give a guaranteed head count seven days prior to the seminar.